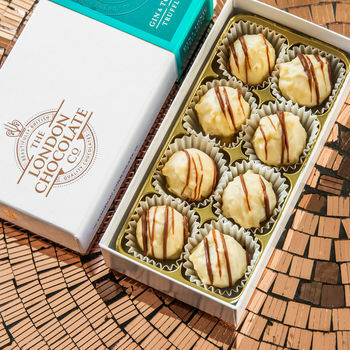 Extra special chocolate gifts, handmade in London. 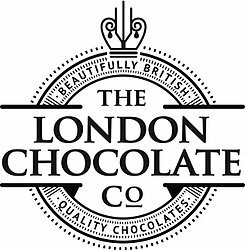 Hello and welcome to The London Chocolate Company. 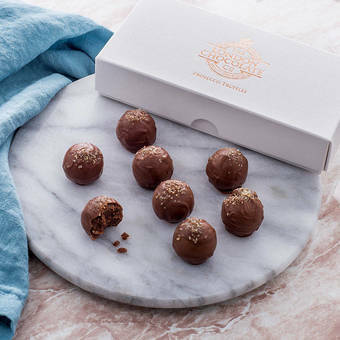 Our small team of highly skilled chocolatiers have been making chocolates in London since 2006. 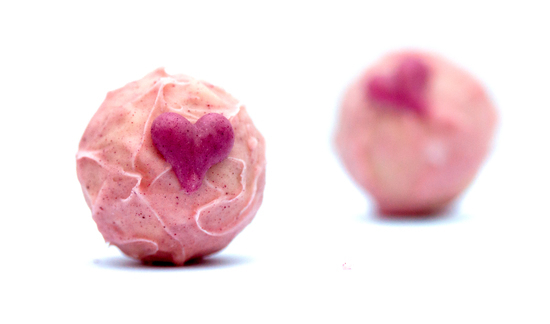 If we weren't making chocolate we'd definitely be creating something else that you could send as a gift and would make people smile - that's what we love to do! 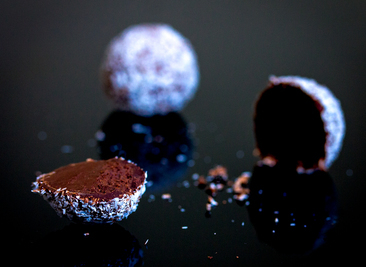 We're a multi-award winning British chocolate brand. 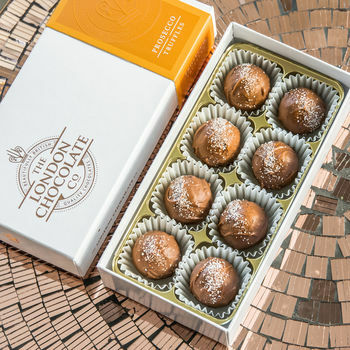 "these were a gift- they were presented beautifully and the recipient of the gift said they were really tasty!" "Bought as a gift and the recipient was over the moon. Excellent product very happy customer." 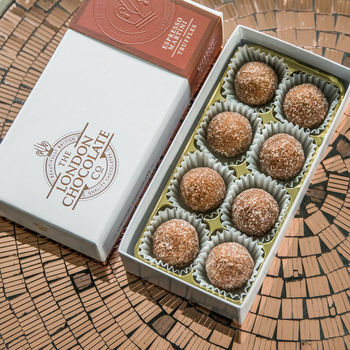 "A great gift for a cocktail/chocolate loving friend! 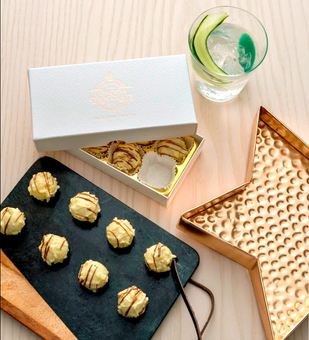 Well packaged and presented, arrived in great time and thoroughly enjoyed." "I bought this gift box for my sister who is the biggest lover I know. 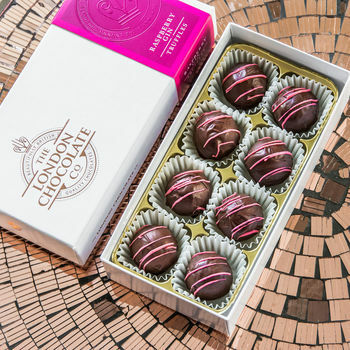 I saw these and instantly thought what a cool idea for her birthday"
It’s important to us that the item you have ordered reaches you in perfect condition, that’s why we use custom made packaging and take extra care when packing each box. Our products are delivered using Royal Mail first class recorded delivery (which takes 1-3 working days) or Royal Mail Special Delivery (guaranteed next day). In some circumstances we may use a courier company for larger orders. We aim to dispatch all orders received before 1pm (GMT) the same day provided the item is in stock. Orders received after 1pm are dispatched the next working day. If for any reason we are unable to fulfill your order this quickly we will contact you by email to offer you an alternative collection or a later delivery date, or a refund if you prefer. We do not dispatch on Saturdays or Sundays. We cannot take responsibility for delays in delivery outside of our control including industrial action and subsequent disruption to the service. We endeavor to keep our customers informed so that they are aware of the situation and know when to expect delays. We do not accept responsibility for return postage costs or items lost or damaged in transit to us or any other circumstances beyond our control, except at our discretion.